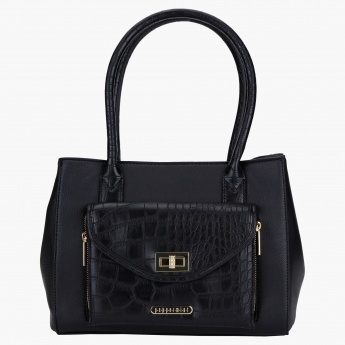 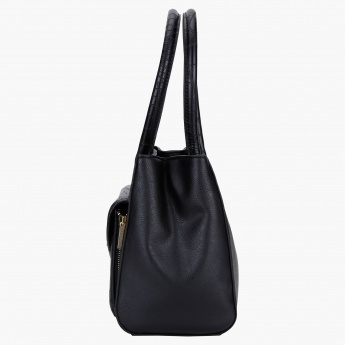 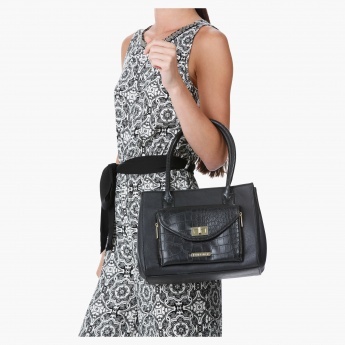 Carry this stylish handbag and be sure to lend yourself a classy look. 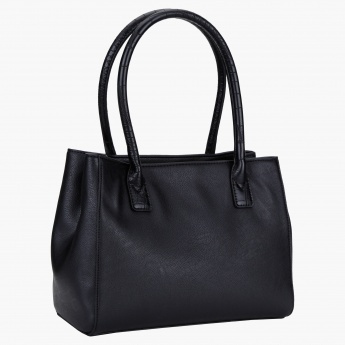 Sporting dual handles, it is easy to carry and looks appealing. 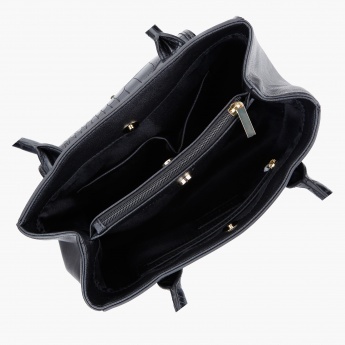 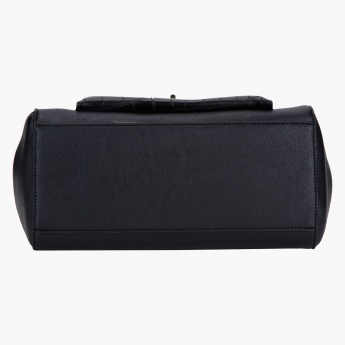 It has a zippered closure and a flap pouch on the front that looks great.